Dharma talks by Noah Levine, author of Dharma Punx and Against the Stream, and other teachers at Against the Stream Buddhist Meditation Society in Los Angeles, San Francisco and elsewhere. Lama Willa Miller, teacher of Natural Dharma Fellowship, shares a series of compassion meditations from the Tibetan tradition, recorded in the summer of 2012. Motivated by Love Ministries is a Ministry of Love for God's Word with hope, healing and restoration to your mind, soul and body. Dharma talks on Zen meditation and practice by Taigen Dan Leighton and other members of Ancient Dragon Zen Gate. So Yesterday is the Podcast of the Month. 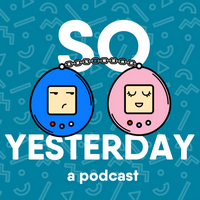 So Yesterday is a podcast where comedians Cecily Breaux and Alden Derck take a deep dive into the movies, TV shows, toys, music and video games of their childhoods. What is the Podcast of the Month? How to get featured as "Another Great Podcast"? What do you like to do while listening to podcasts? Good video games to play while listening to podcasts. "Podcasts" sub-reddit has lots of great discussions. Free to use music for your podcast. Using Skype to record a podcast. What does your podcast setup look like? How do you gain listeners? Can you use Dropbox for podcasting? How to look your best on video. Top Podcast Directories and How to Get in Them. Rob Walch of Libsyn: The podcasting market by the numbers (audio podcast). 10 reasons you should get a mixer for podcasting. 10 ways you could improve your podcast. Hosting: Libsyn VS. Amazon S3. 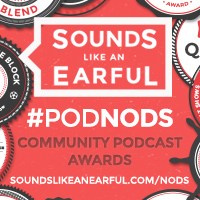 The guys over at Sounds Like An Earful podcast give out nods to some of the best podcast episodes each week. They really dig podcasts and we want to celebrate with their friends when hard work pays off in the form of pretty dang good radio. Click to check out some of this weeks favorites. Podcast Land was created by Michael Khalili to help find new and interesting podcasts to listen to. The site features list of podcasts by category which are based on fan votes and random podcasts throughout the site. There’s also a search feature which allows you to find new shows that are not found on the lists. Each month a new podcast is selected as the “Podcast of the Month”. Selection is primarily based on fan votes (read more for details). The Podcast of the Month will be featured on the website and promoted by Podcast Land. Podcasts are a series of downloadable audio and/or video episodes based on a show topic. Similar to how a TV show has many episodes, a podcast show also has episodes. The difference is, you have to watch a TV show when it airs but, with a podcast, you can download an episode whenever you’re ready to listen/watch it. ShortOrange is a revolutionary free podcast player which makes it easy to enjoy, organize, and listen to your favorite podcasts online via the cloud. Get your favorite shows from any computer and stream online. Bonus! Another perk to being listed on Podcast Land is that the Top 10 shows are featured on the ShortOrange player! Podcast promotional content was provided courtesy of iTunes.